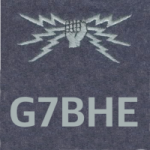 This page contains information about the GB7EX DMR repeater, which is now online in South Essex. GB7EX became operational on 20 December 2014 and is connected to the Phoenix network. DMR is a digital voice mode (like Icom’s D-Star and Yaesu’s Fusion). You will need a DMR radio (normally a handheld) to access a DMR repeater. You will also need a subscriber ID for each radio. More help on getting started with DMR, see our DMR in Essex guide, or go to DMR-MARC for more information. Couldn’t resist the temptation of eBay, and got myself a DP3400, despite the lack of screen. Wannabe buyers should note: Programming this radio requires a cable with a custom connector, and paid programming software. So, on that note… Anyone fancy lending me the cable and software/helping me program this radio for GB7EX? I can program it for you. Have you got your radio number yet ? Wou;d it be possible to send me the code plug for the DP3400, I have the lead and software. 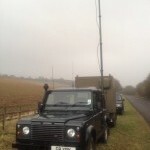 GB7EX is a great DMR repeater, it covers NW Kent very well. The repeater keeper G8YPK is often on the air and gives great advice and support to fellow DMR users. I have just programmed up my Kydera 500D & look forward to working this new mode! I might be late to this party. Just ordered an MD-380 which should be with me tomorrow. Fingers crossed. I was really excited about my latest purchase of an entry level DMR HT, GB7EX is my closest repeater for an introduction to DV. Nothing, after hour upon hour of programming and a rapid learning curve, I’ve heard not a single squeak. I’ve stood outside, on the top of the highest peaks, still nothing, is it actually on air? If so then the coverage maps are grossly exaggerated. Simplex, I’m beginning to think it’s a mode that doesn’t in fact actually exist, it’s a myth, any suggestions, apart from MOVE HOME. 73 G1HPV LOL! Is your codeplug valid, and more importantly where are you. If you are using the supplied rubber duck then I would not expect the coverage map to be accurate. Saying that Dorothy could access EX from the car park of the marts club in north kent with the rubber duck antenna a few weeks back. I know of a station in witham that struggled but according to the map he is not covered. 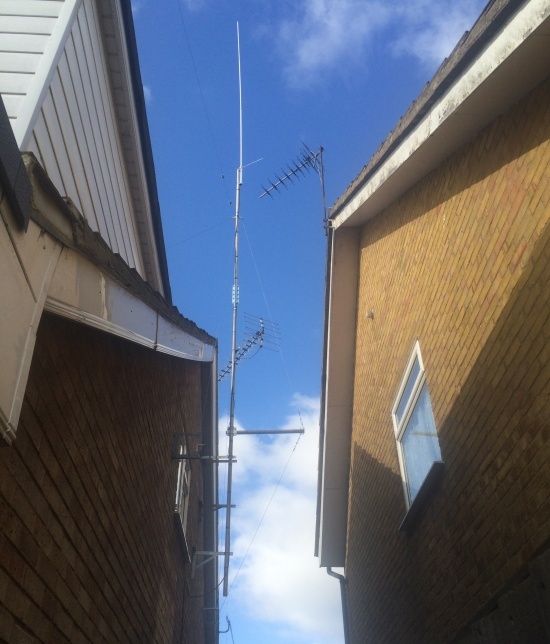 I also know someone in wickford who struggles to get a signal with a vertical in the garden. I’m not registered myself but Dorothy thinks it’s brilliant . Agree with Richard (about your information being vague) – It’s really easy to make a mistake with the Codeplug settings (I’m only 4 days into this DMR fun). An incorrect colour-code, slot or group and you’ll hear nothing. I am in Chelmsford (43mASL) and can work EX with my outside V-2000 aerial – I can just about decode it with the rubber-duck on my MD-380 in the local park, but not reliably. It can be worked at Galleywood Common (again, on a handheld) where it’s a bit higher-up. EX, although closest, is not my strongest DMR system: GB7IK and SE are a bit better. 1 or 2 users in Southend have struggled, so could just be local terrain. I did notice an incorrect frequency pair on IK’s settings in a nationally available Codeplug, so I advise you to get it looked at: Vince G8YPK (keeper of EX) is very approachable, and I’d be happy to give it the once over (it contains nothing private) – I am on QRZ if you want to make contact. The callsign and a quick glance at QRZ is a bit of a giveaway as to my location, the marsh is on my doorstep and I’d be in the North Sea if I go any further East, unfortunately the wrong side of the clay bump between EX and myself. I see from your location M0CLZ your just a stones throw from the repeater as is Dorothy herself; albeit line of sight across the Thames. Yes I am registered on the DMR system, aswell as things up to date, I’m not knocking the repeater itself, more the digital voice aspect whether DMR D-Star or whatever and the deaf HT just purchased, if more effort and participation was to be put into maybe FREEDV or such like, on all bands not just HF, and drop the elitism which exists at the moment with competing systems, we’d all be better off. I’m just making light comment, each to their own as they say, it’s just a hobby to be enjoyed by all whatever their interest, some are still arguing as to the merits of transistors HA! 73 Happy xmas G1HPV. Programming code plugs can be a total bear. The simplest mistake can render it useless. That should help you. 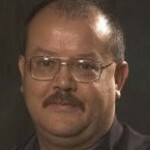 I’m happy to assist looking at your codeplug etc. EX is suitably busy that you should be hearing something. Thanks Paul for the link but Ive done all this, it’s more a case of me living in the marshes below sea level battling with mutant mosquitoes, with a second to none takeoff to the East with a North Sea ground-plane HI! I appreciate any input, but as old school, just trying to blend in. 73 G1HPV. Any help with programming a Kydera DM-880 would be much appreciated. Trying to connect to GB7EX, but all I get on keying up is “BS revive timeout”? Any help with programming a Kydera DM-880 would be much appreciated. Trying to connect to GB7EX, but all I get on keying up is “BS revive timeout”? Believe I have the correct freq etc, & it to be a handshaking problem. What do i do for this ? Hello, one, check antenna, two, check coverage and operational status, and third check your codeplug! Thanks for the reply. Any chance you could send me a codeplug please? Hi all, I am just live since yesterday with my dm380, but need help to add zs repeater to a spare channel. I have the programming software etc and have already managed to save the original codeplug safely and then changed my startup screen to my callsign and name. Chuffed …..
Can anyone help me do the above if I send you my codeplug. Hi John – Take a look at the Ham Goodies DMR codeplugs – See http://www.hamgoodies.co.uk/dmr/ – If Charlie doesn’t have what you need, contact him and he may be able to help. John if you would like to send it to me I’ll sort it for you. Replace the letter X in the email address with my callsign. Also let me know exactly what repeater you want. strange how i show up on the 20th sep 2016 as going through EX on tg801I havent even got tg801 im my codeplug! Wishing you all best 73 and look forward to chatting on DMR in the future. I need some help with programming DP3400 portable and a DM3600 base radio. I have the leads and the software if anyone needs to borrow them ! But what I do not have is a working code plug file. So if some kind person can supply a useable code plug file for the above kit it would be appreciated. First time back to the hobby after 10 years away so just getting going on digital. I have a DMR ID all ready and waiting ! 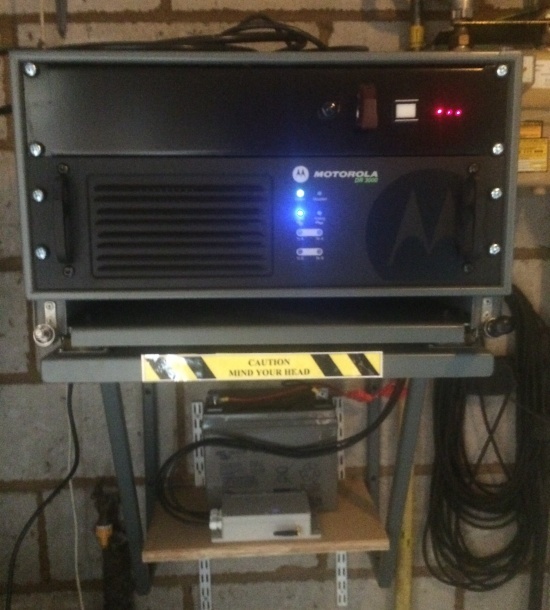 Can anyone help with code plug files for Moto radio DP3600 and also DM3600 for DMR use.? Hi Howard. Welcome back to the hobby. I started my foray into the digital voice world on DMR. However if you have no luck then I would be happy to show you how to write a codeplug. Ive only done it on TyT radios but it can’t be too dissimilar.